Islam is a natural bodybuilder, Dentist & Fitness Youtuber; following his passion for exercise science & nutrition he launched his science based educational YouTube channel on February 2016. Islam earned his bachelor degree in Dental Medicine on February 2014 from the Faculty of Oral and Dental Medicine in Future University in Egypt. His scientific background helped Pave the way for Islam to further enhance his knowledge in the fields of exercise science & nutrition. Staying up to date by following the work of the elitist in the fitness community; Such as Dr.Brad Schoenfeld the expert on muscle hypertrophy, Dr.Eric Helms the godfather of the Muscle and Strength Pyramids, Dr.Layne Norton, Dr.Mike Israetel, Alan Aragon, Lyle Mcdonald and many more. Islam continues to improve his knowledge by following the latest advances in the scientific literature, in conjunction with his own personal experience to provide premium content on his YouTube channel. Islam coaches clients from all over the world, helping them reach their body-composition goals in the most efficient methods; which are always in tune with the latest scientific principles. STRONG PEOPLE ARE NOT BORN STRONG, THEY ARE BUILT. Pursuing a healthy lifestyle didn't come naturally to me. I've been obese since high school up to my second year as a dental student back in 2009. Earlier in 2012 I made the decision to instill a lifestyle change to improve my physical appearance. Losing more than 50 kilos, going down from 125 kgs to 78 kgs in almost 6 months. On October 2014 my pursue to finding the best way to reach my own bodycomposition goals started , learning biomechanics, further enhancing my scientific knowledge, resistance training, and whole lot of trial and error which still continues to this day. Being a Dentist, I’ve always had a found respect for Science and knew whether it came down to treating my patients or transforming my own physique and even my own clients, I had to search and read a lot of books and follow the latest research in the field of Exercise and Nutrition. WhAT DOES Hyperbolic Training MEAN? I remember back when I was a kid my very first game on my super-Nintendo console was a DragonBall Z fighting game. 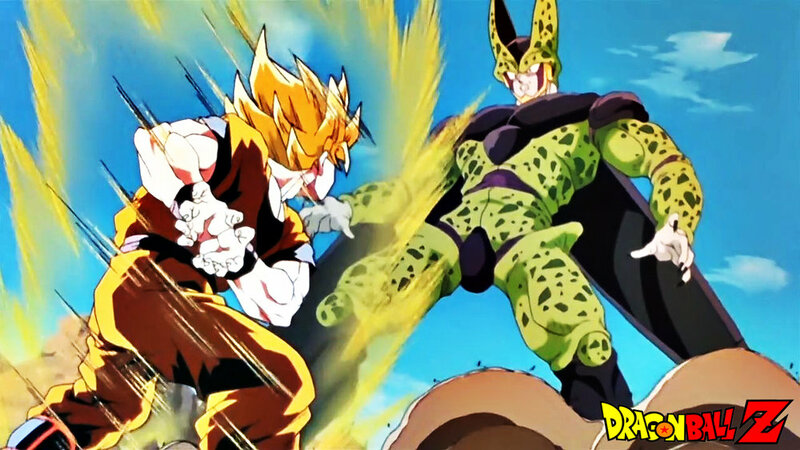 During the Cell Saga in the story line of the anime, A room was revealed called "The Hyperbolic Time chamber". This was a room in which "Goku" (The Protagonist) was fortunate enough to train in so that he may become stronger to defeat a villian named "Cell" who was threatning to destroy earth. Stepping through the Hyperbolic time chamber takes you to another dimension where time follows a different rule. Spending a whole Year inside the Hyperbolic time chamber would only account for ONE DAY back on earth. Can you imagine how great our results would be if we could just train for a whole year?! with no distractions, no stressors? Simply train, eat and sleep ! Goku (On the left) training with his Son, Gohan (On the right) Inside the Hyperbolic Time Chamber. As you see, I've combined my favorite childhood TV show with my passion for training. That's where I came up with the name HYPERBOLIC-TRAINING. Unfortunately we're not characters in DragonBall Z. In the real world we're not able to manipulate time as the Hyperbolic time chamber does, but we can do our best with the time we have together to take your physique to the next level!